Eastboys present Outdoor Workout - Flexing from eastboys.com gallery. You have waited and waited, but finally new stuff with Alexander Dorch is here! 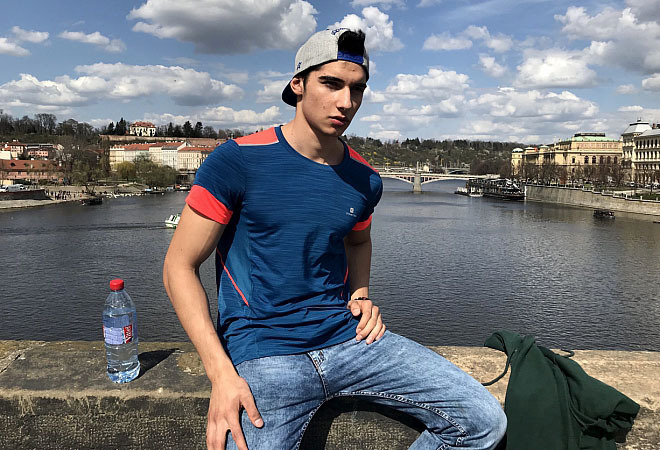 Alex, with his beautiful ripped athletic body, angelic face and smile no one can resist - is here to show off his muscles in full 30 minutes of working out and flexing video. Alex is ripped for summer so he can bulk in winter, and you can admire his bulging rock hard biceps, and more. Alex will strip naked so nothing interferes with beauty of his body. Gentlemen, enjoy!